"The reps are passionate about what they do. They are committed to excellent customer service." DMAC uniformed security officers are screened carefully and meticulously trained prior to selection, and are continuously monitored on performance and evaluated to ensure that the client’s expectations are met. Management interviews all candidates conduct thorough background checks and determines personality/integrity profiles are reviewed before adding them to the DMAC Security team. Prior to assignment, our uniformed professionals receive new employee and site/client specific training from highly experienced management personnel in all facets of the company. This includes, but is not limited to: security, fire, life safety training and customer service training. After an officer is assigned, the officer receives continuous personal training to include supervision and management training as a standard for their development at DMAC. DMAC provides Uniformed armed/unarmed officers. We also offer a blazer and tie option where uniformed officers may be inappropriate. All our armed/unarmed officers are professionally trained, competent personnel. All our officers must complete a background check. Our armed guards go through extensive firearms training. Supervisors have law enforcement backgrounds and are experienced in civil liability matters. 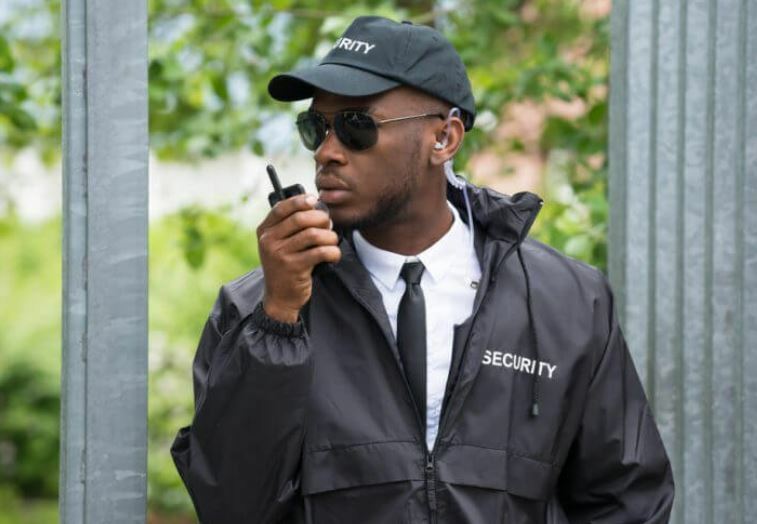 DMAC Security uniformed security officers are primarily used for gated communities, high rise condominiums, commercial properties, office complexes and retail properties. We invest a large amount of time in training and technology to ensure that you the client will receive the best security possible. DMAC Security uses top quality uniforms specifically designed for the security industry and your property, so we are confident that all of our officers look professional at all times, and have all the tools necessary to perform their duties with ease. We also do not supply any of our uniforms in stock due to all of our officers are tailored fitted at the above partners establishments to ensure that all of our uniforms fit our officers correctly so they always look their best. We believe that our Security Officers are one of the most important players to the success regarding our security programs. DMAC Security is not just a security agency, but also a fully licensed security academy. This gives us an advantage to be able to screen and train new candidates to the security industry and possibly higher right outside of graduation. DMAC Security understands that ongoing training is paramount, and the main reason why our company is a technology company is due to ongoing changes regarding policy and protocol. We must move fast updating post orders, passing down important instructions, issuing tasks, Dispatching support in other duties, in order to keep up we must use technology to communicate and to enforce compliance to regulate and control all issues that may arise.